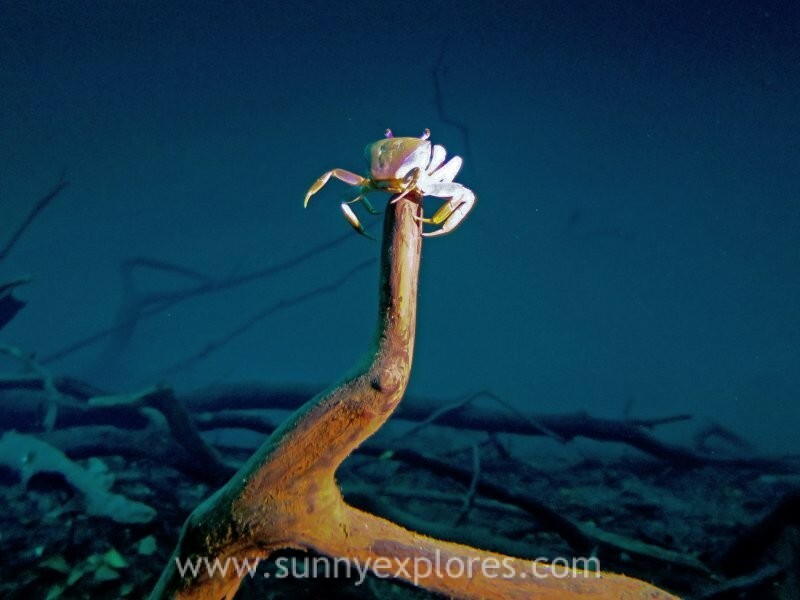 Cenote Angelita is a bizarre dive! All cenotes are amazing to dive, but Cenote Angelita is really one of a kind. 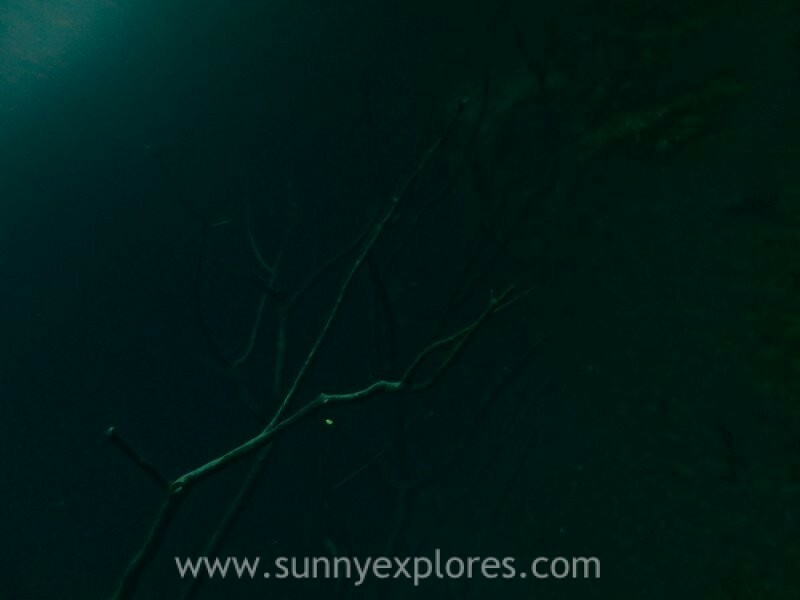 It was my first dive in Mexico and my first introduction to the famous cenotes. A cenote is a natural pit, or sinkhole, resulting from the collapse of limestone bedrock that exposes groundwater underneath. You can find cenotes in Yucatán Peninsula of Mexico. The ancient Maya believed cenotes were passways to the under world and used them for sacrificial offerings. 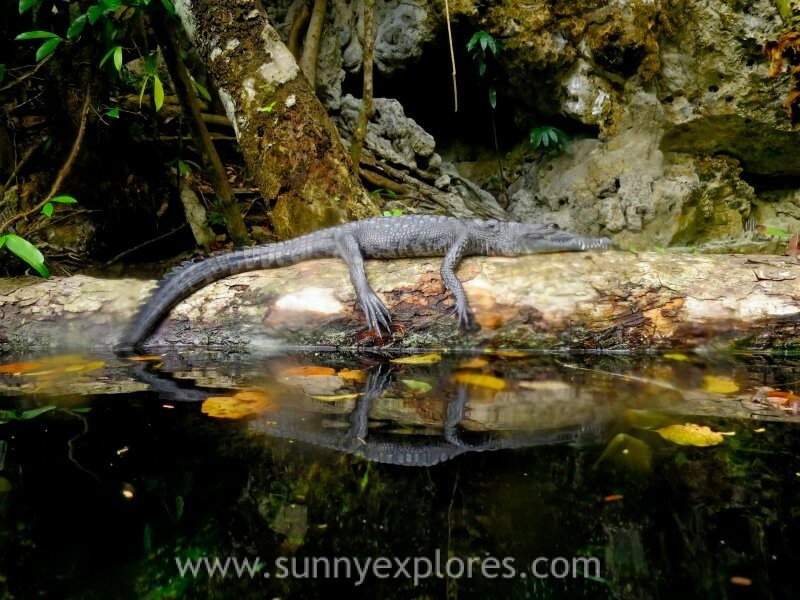 After a short walk through the jungle you will find Cenote Angelita. 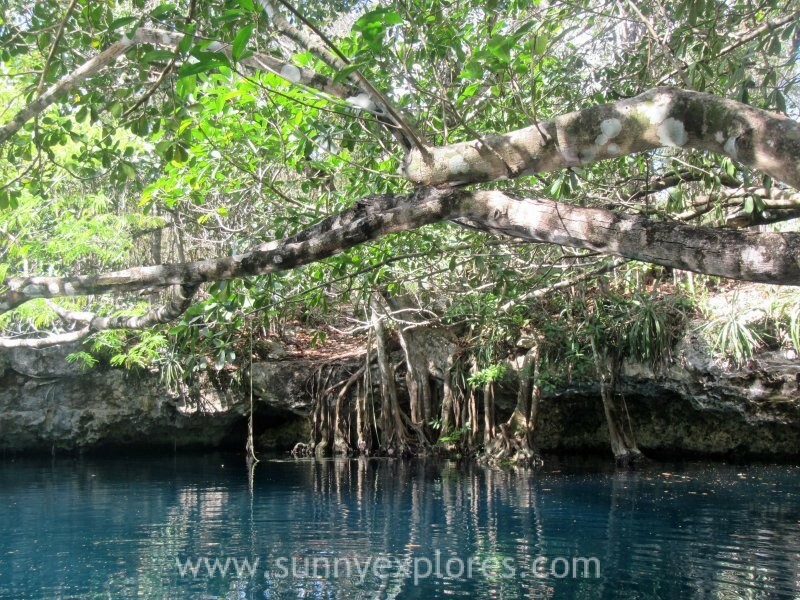 This cenote resembles a stunning blue lake in the green jungle. 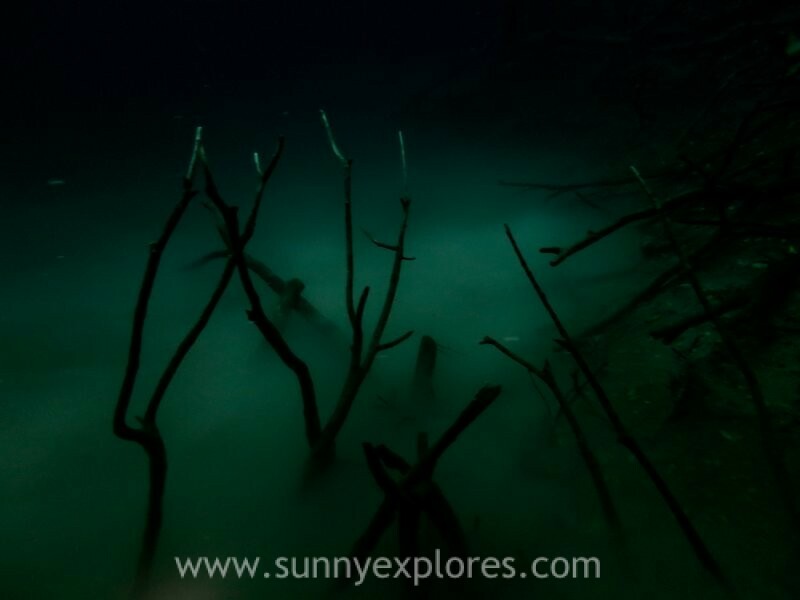 Unlike other cenotes, Angelita has no passageways. You can only dive deep down 60 meters. 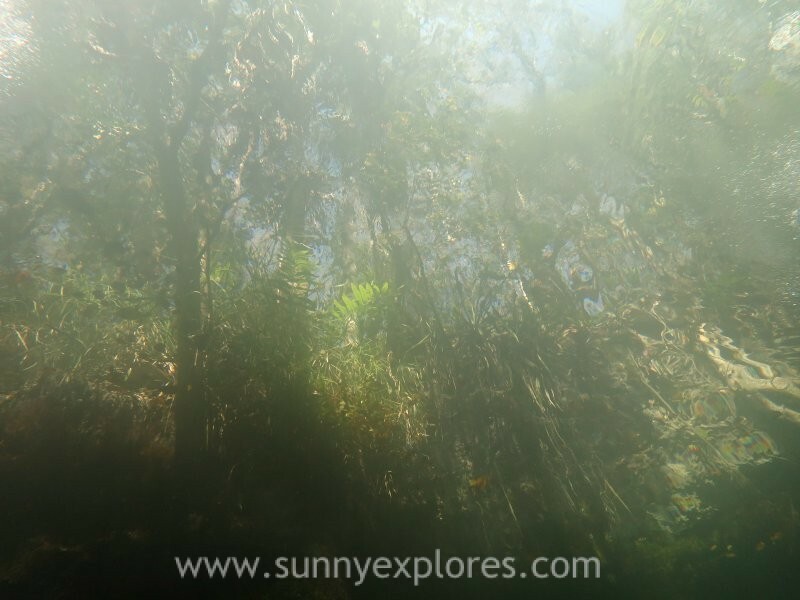 Cenote Angelita has clear fresh water but diving deeper you will find salt water. These two layers of water are separated by a thin layer of hydrogen sulfide that appears as a dense cloud. The halocline and the crazy hydrogen sulfide cloud at 30 meters is about 3 meters thick. From above you will see a cloud, from below it’s an uniquely coloured hue, a bit gray, a bit green. When you are in the middle of this layer you can see nothing, except for thick fog. It disorientes you: it is difficult to determine what is above and below. No matter how close your buddy is, you are not able to locate him. He seems disappeared. There are no words to describe passing though this layer, that tastes like rotten eggs. Under the halocline you will find complete darkness. In the light of your torch you will see fallen, drowned trees which rise out of the cloud and a little island with branches. The branches look like witches standing in the mist and spreading their arms towards you. In the cenote you will see a couple of stalactites and a tunnel with a nice swim through. When you descend a little, you will see tree leaves floating past and when you look up you can see the jungle reflect in the crystal clear water. That’s a stunning sight. With some luck you will encounter a crocodile. 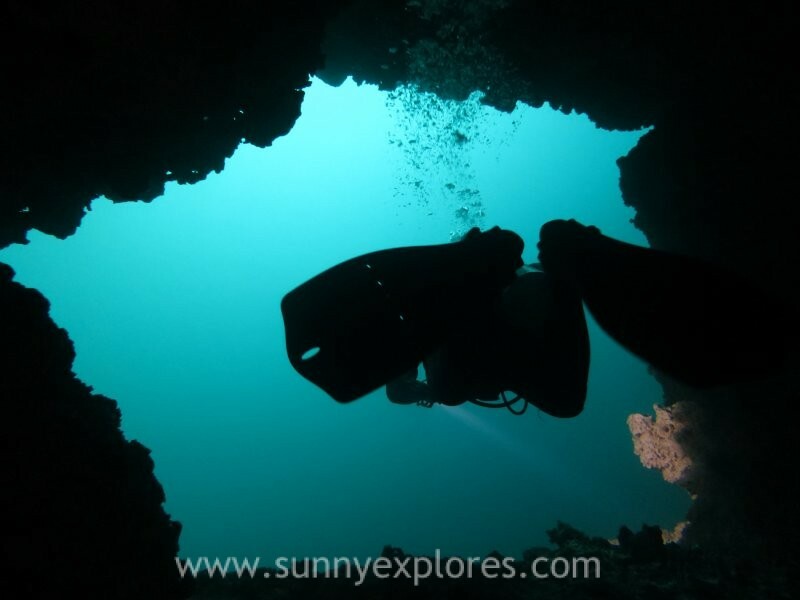 You will need to be an advanced diver to enjoy the Cenote Angelita diving experience. 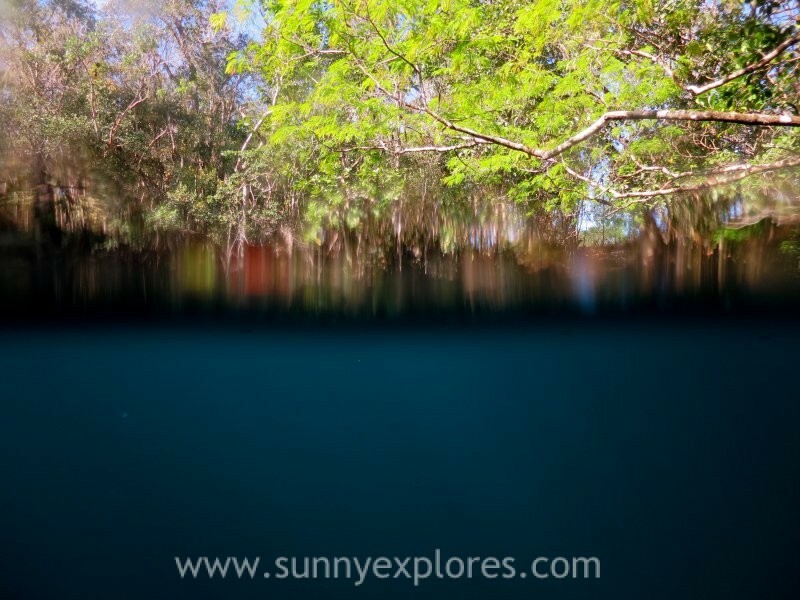 It offers a truly unique experience even compared to the many other fascinating cenotes on the Yucatán peninsula. As I said before, it’s probably the most bizarre dive you will ever do in your life! 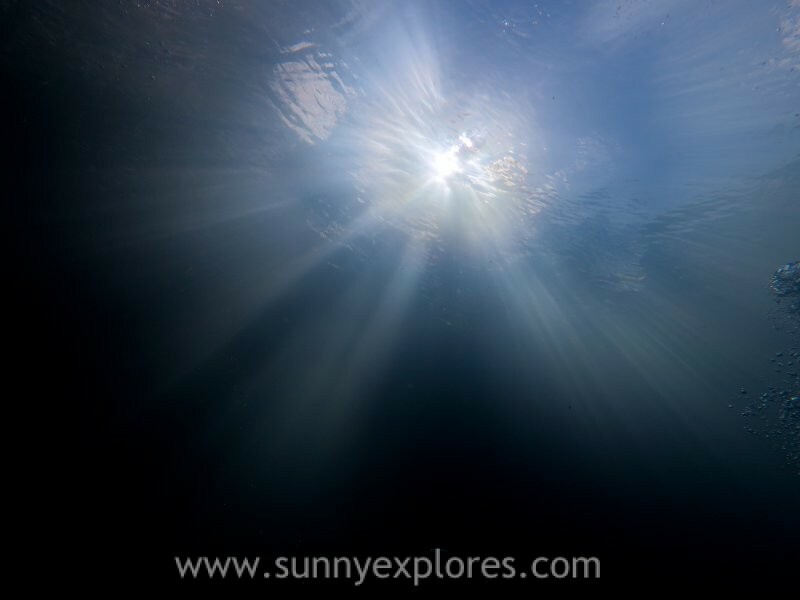 The dense hydrogen sulfide cloud which separates the fresh water above from the salt water below creates a one-of-a-kind effect which really has to be experienced to be believed.